From the outset of updating our creative branding we were certain that we need to create assets that were vibrant, bright and bold - to fully evoke the essence of the Creative products and their intended uses. 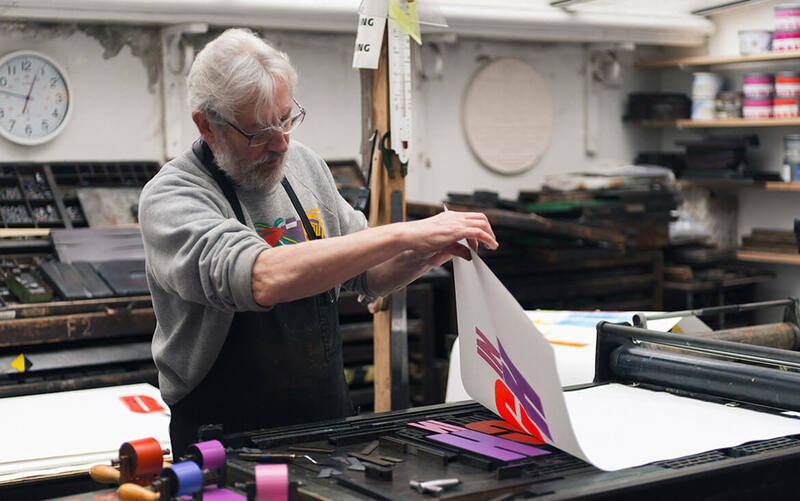 From an early age Alan Kitching had a strong love for painting, drawing and printing and in the mid-1950s at the age of just 10 he was already beginning to look for work in this area, now as a well-established practitioner of letterpress typographic design and printmaking. Kitching exhibits and lectures across the globe, and is known for his expressive use of wood and metal letterforms in commissions and limited-edition prints. His experimental style is instantly recognisable and is one of the many reasons why he is now considered one of the world’s leading practitioners of letterpress typography design, the artwork that makes up the majority of his portfolio from his wide-spanning career. 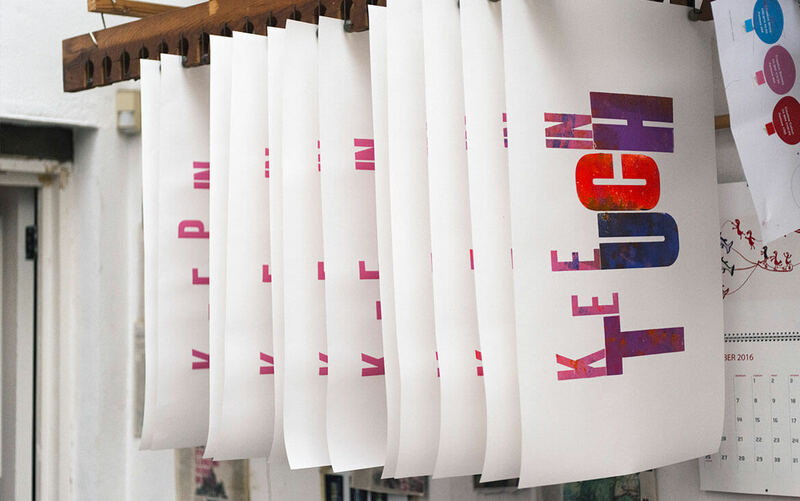 We commissioned Alan Kitching to create three unique letterpress prints that would be used to represent our Creative brands. For our creative branding we wanted something that would appeal to creative minds and portray the versatility and breadth of opportunity that our creative products offer. 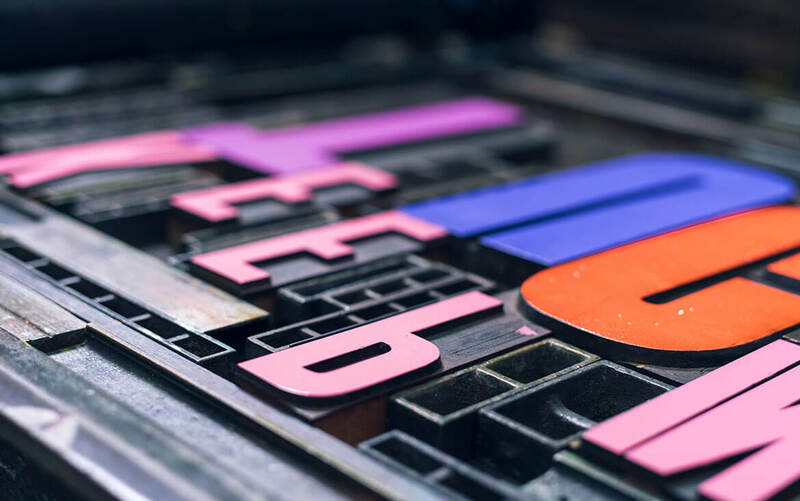 Letterpress offers a fantastic, versatile print style that creates vibrant, textured and colourful prints, the perfect choice to promote our Creative ranges. Alan, worked over many weeks to create the final illustrations you are now presented with, spending significant time developing the best colour mixes and building up the paint to create textured, eye-catching results synonymous with his style of work. The video below illustrated beautifully the pain staking work and adaption that went into creating our final designs.